Prophecy is foretelling an event in such detail before it happens so as to necessarily require divine guidance. The Bible is a book containing hundreds of detailed prophecies. There many distinct predictions in regard to the Son of God, Jesus Christ the Savior coming to earth the first time. Here is a list of 60 prophecies that foretold the details to identify the true Lord. The predictions were made hundreds of years before Christ. The older the prophecy the more divine power is needed. You may be able to predict who will win the super bowl this year but that is based on much current evidence. However, how about predicting with certainty who will win it 755 years from now? A scientist picked out 48 such prophecies and determined that the probability of one man randomly fulfilling them all is 1 in 10 to the exponent of 157. That is one followed by 157 zeros! The chance of winning a typical lottery jackpot is about 1 with 8 zeroes. (100,000,000) Yet, Jesus the Lord alone fulfilled all the prophecies including these 60! 1. Born of the seed of woman (Gal. 4:4) Gen 3:15 / 3975 B.C. 2. Born of a virgin (Matt. 1:18) Isa 7:14 / 732-727 B.C. 3. Seed of Abraham (Matt. 1:1) Gen 22:18 / 1834 B.C. 4. Seed of Isaac (Matt. 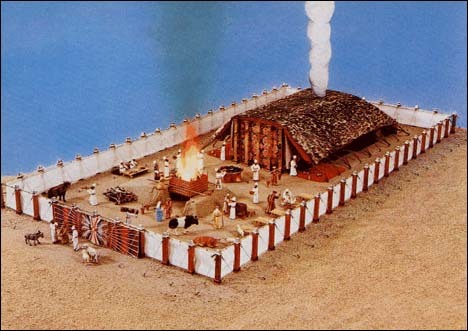 1:2) Gen 21:12 / 1864 B.C. 5. Seed of Jacob (Matt. 1:2) Num 24:17 / 1423 B.C. 6. Seed of David (Matt. 1:1 ) Jer 23:5 / 597 B.C. 7. Tribe of Judah (Luke 3:33) Gen 49:10 / 1660 B.C. 8. Family line of Jesse (Matt. 1:6) Isa 11:1 / 713 B.C. 9. Born in Bethlehem (Matt. 2:1) Mic 5:2 / 704 B.C. 10. Herod kills the children (Matt. 2:16) Jer 31:15 / 597 B.C. 11. He pre-existed eternality (John 1:1, 14) Mic 5:2 / 704 B.C. 12. He shall be called Lord (Philp. 2:9-11) Ps 110:1 / 1014 B.C. 13. Called Immanuel (God with us) (Matt. 1:23) Isa 7:14 / 732-727 B.C. 14. Prophet (Acts 3:18-26) Deut 18:18-19 / 1423 B.C. 15. Priest (Heb. 6:20) Ps 110:4 / 1014 B.C. 16. Judge (Acts 17:31) Isa 33:22 / 704 B.C. 17. King (Luke 1:31-33) Ps 2:6 / 1014 B.C. 18. Anointed by the Spirit (Luke 4:18) Isa 11:2 / 713 B.C. 19. His zeal for God (John 2:17) Ps 69:9 / 993 B.C. 20. Preceded by a messenger (John 1:23) Isa 40:3 / 712 B.C. 21. To begin in Galilee (Matt. 4:12-16) Isa 9:1-2 / 732 B.C. 22. Ministry of Miracles (Matt. 15:30, 31) Isa 35:5-6 / 712 B.C. 23. Teacher of parables (Matt. 13:13) Ps 78:1-4 / Isa 44:18 / 1016 B.C. 24. He was to enter the temple (Mark 11:15) Mal 3:1 / 397 B.C. 25. Enter Jerusalem on donkey (John 12:13, 14) Zech 9:9 / 494 B.C. 26. Stone of stumbling to Jews (1Pet. 2:6) Isa 28:16; Ps 118:22 / 1018 B.C. 27. Light to Gentiles (Matt. 4:16) Isa 49:6 / 712 B.C. 28. Betrayed by a friend (Mark 14:10) Ps 41:9 / 993 B.C. 29. Sold for 30 pieces of silver (Matt. 26:15) Zech 11:12 / 494 B.C. 30. 30 pieces thrown in Temple (Matt. 28:5 ) Zech 11:13 / 494 B.C. 31. 30 pieces buys potters field (Matt. 27: 6. 7) Zech 11:13 / 494 B.C. 32. Forsaken by His disciples (Matt. 26:31) Zech 13:7 / 494 B.C. 33. Accused by false witnesses (Matt. 26:60, 61) Ps 35:11, 20-21 / 1028 B.C. 34. Silent before accusers (Matt. 26: 62, 63) Isa 53:7 / 712 B.C. 35. Whipped (John 19:1) Isa 53:5 / 712 B.C. 36. Beaten and spit upon (Mark 14:65) Isa 50:6 / 712 B.C. 37. Mocked (Matt. 27:39, 40) Ps 22:6-7 / 993 B.C. 38. Words of enemies said (Matt. 27:43) Ps 22:8 / 993 B.C. 39. Hands and feet pierced (John 20:27) Ps 22:16 / 993 B.C. 40. Crucified with thieves (Matt. 27:38) Isa 53:12 / 712 B.C. 41. Intercessory prayer for enemies (Luke 23:34) Isa 53:12 / 712 B.C. 42. Rejected by His own people (John 1:11) Isa 53:3 / 712 B.C. 43. Hated without cause (John 15:25) Ps 69:4 / 993 B.C. 44. Friends stood afar off (Matt. 27:55) Ps 38:11 / 1004 B.C. 45. People wag their heads (Matt. 27:39) Ps 22:7 / 993 B.C. 46. Hated without a cause (John 15:23-25) Ps 69:4 / 993 B.C. 47. Clothes divided and gambled for (Mark 15:24) Ps 22:18 / 993 B.C. 48. Became very thirsty (John 19:28) Ps 22:15 / 993 B.C. 49. Gall and vinegar offered Him (John 19:29) Ps 69:21 / 993 B.C. 50. His forsaken cry unto God (Matt. 27:46) Ps 22:1 / 993 B.C. 51. Committed His spirit to God (Luke 23:46) Ps 31:5 / 1028 B.C. 52. Bones not broken (John 19:33) Ps 34:20 / 1029 B.C. 53. Rejected by rulers (1Pet. 2:7) Ps 118:22 / 993 B.C. 54. His side pierced (John 19:34) Zech 12:10 / 494 B.C. 55. Darkness over the land at noon (Matt. 27:45) Amos 8:9 / 764 B.C. 56. Buried in rich man’s tomb (Matt. 27:57-60) Isa 53:9 / 712 B.C. 57. Raised from the dead (Matt. 28:6-9; Acts 2:25-32) Ps 16:8-11 / 1014 B.C. 58. Begotten as Son of God (Acts 13:33) Ps 2:7 / 1014 B.C. 59. Ascended to God (Luke 24:50, 51) Ps 68:18 / 1016 B.C. 60. Seated beside God on right hand (1Pet. 3:22) Ps 110:1 / 1014 B.C. The evidence of divine prophecy presented here is just a one portion of the proofs available to establish the divine origin of the Bible. (Not to mention the ones concerning the ups and downs of Israel and its existence and hatred in the latter times as well as the fallen condition of the “church”). Yet, these are more than sufficient to prove the inspiration of the Bible. “To Him (Jesus the Lord) give all the prophets witness…”. (Acts 10:43).